Lex is founded in 2005 by Ewald van der Spek. Ewald van der Spek studied Dutch law at the University of Leiden. In 1994 he started his career at Kneppelhout & Korthals Attorney’s at Law in Rotterdam. Hereinafter he started in 1998 working as an interim lawyer for Brunel Legal. In 2000 he founded BaS Legal. After a successful growth, he parted company with BaS Legal in 2004 to set up the new firm Lex. His aim with Lex is to provide a combination of interim corporate legal counsel services and a practice of attorney at law. Ewald van der Spek has advised and represented a variety of clients up until now but his speciality is financing and collateral. In 2005 he successfully completed the specialised post-graduate Grotius course in ‘Financing and Colletreral’ of the University of Nijmegen. Promptness, efficiency and cooperation are the key aspects for Ewald. Clients value is his enthusiasm, practical attitude, and capacity to ‘get things done’. 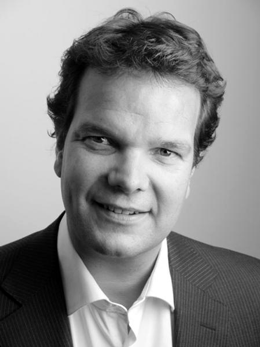 Ewald van der Spek is a member of the Dutch Bar Association and the Society of Interim Jurists.